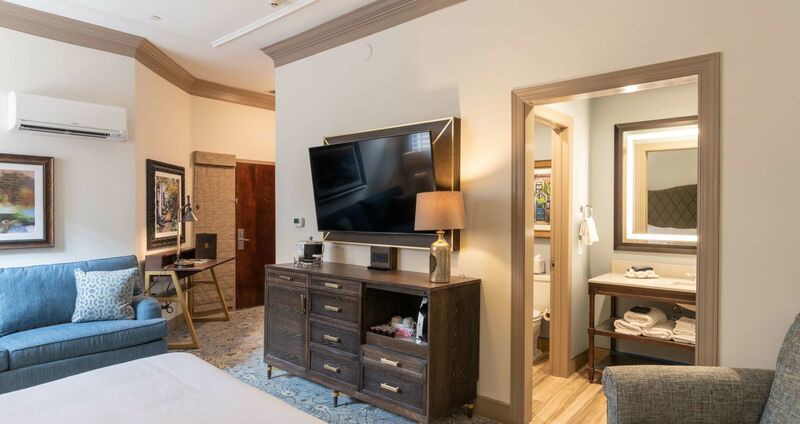 Andrew Pinckney Inn’s spacious Junior Suites are beautifully appointed with an oversized sitting area complete with sleeper sofa, writing desk, and plush king bed. 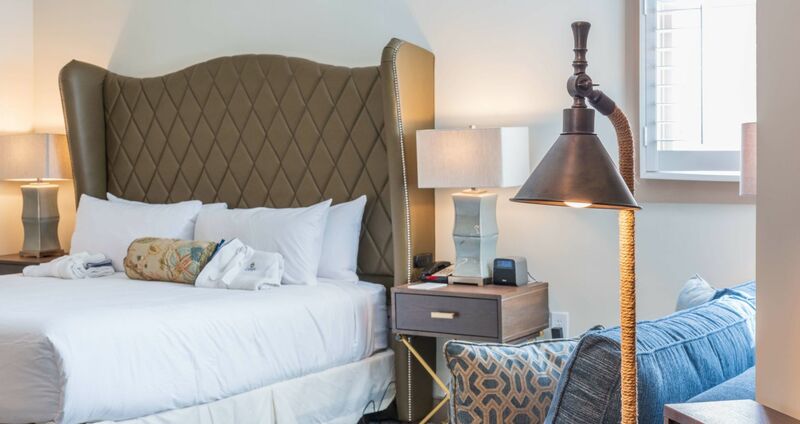 Located in the three-story atrium of the Church Street Building, these boutique accommodations feature a colorful bird’s eye view of the rooftops of Charleston. 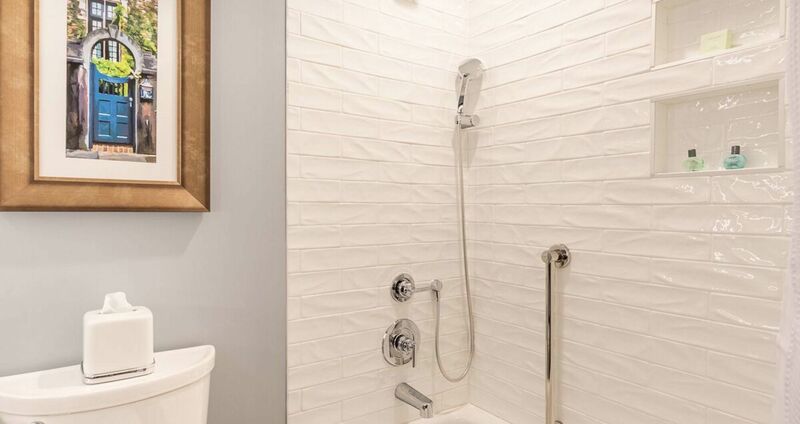 Each Junior Suite is appointed with modern in-room conveniences and Gilchrist & Soames bath amenities.